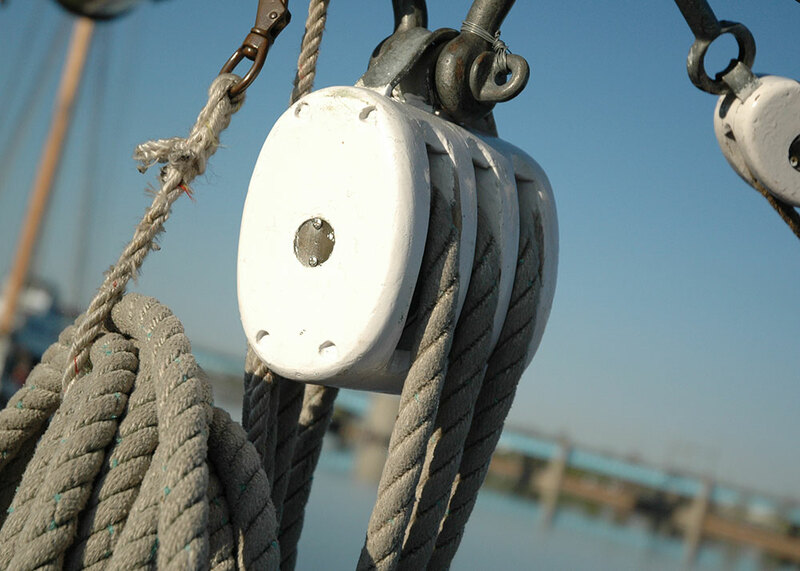 BaySail was established in 1998 with the purchase of the 85-foot schooner Appledore IV. Originally commissioned by Herb and Doris Smith, the Appledore IV is the fourth in a series of schooners built for world voyaging. The Smith’s adventures aboard the Appledores are chronicled in two books “Dreams of Natural Places” and “Sailing Three Oceans”. Bay City welcomed the Appledore IV on Friday, May 15, 1998. Since that time, her primary purpose has been to provide hands-on, environmental science experiences on the waters of the Saginaw River and Saginaw Bay. BaySail’s hands-on environmental education program, Science Under Sail, has reached over 43,000 students from 33 Michigan counties. This program is available to any student, regardless of age, race, or socio-economic background. Students have been welcomed aboard from public, private, and parochial schools, special needs groups, and home schools. 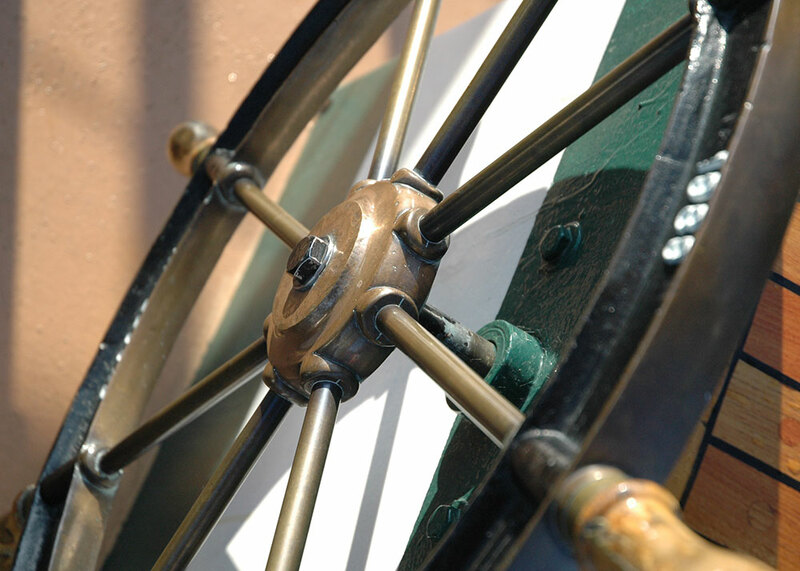 Science Under Sail programs are offered in the spring and fall each year. 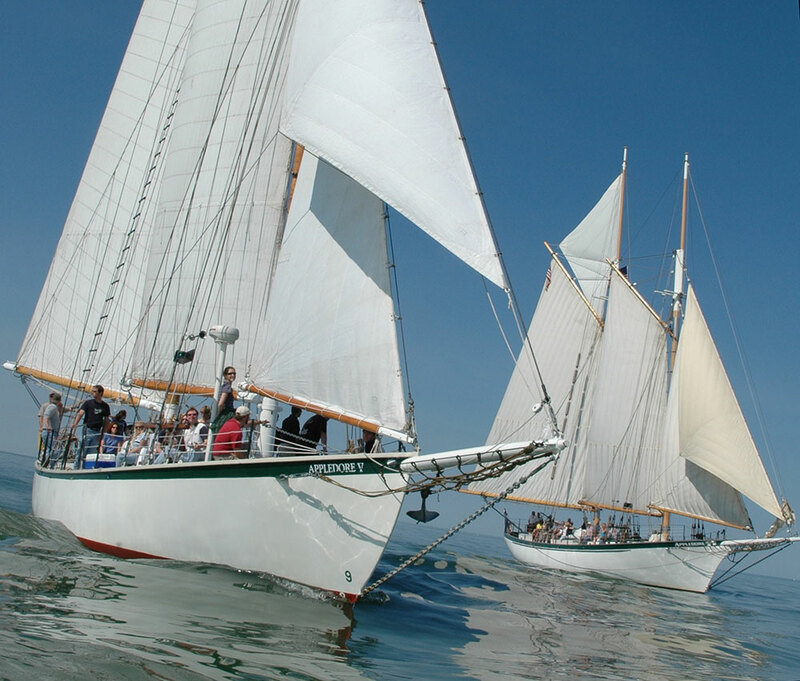 In the summer months, Appledore IV is used for Windward Bound youth sail training programs and voyages to other Great Lakes ports. 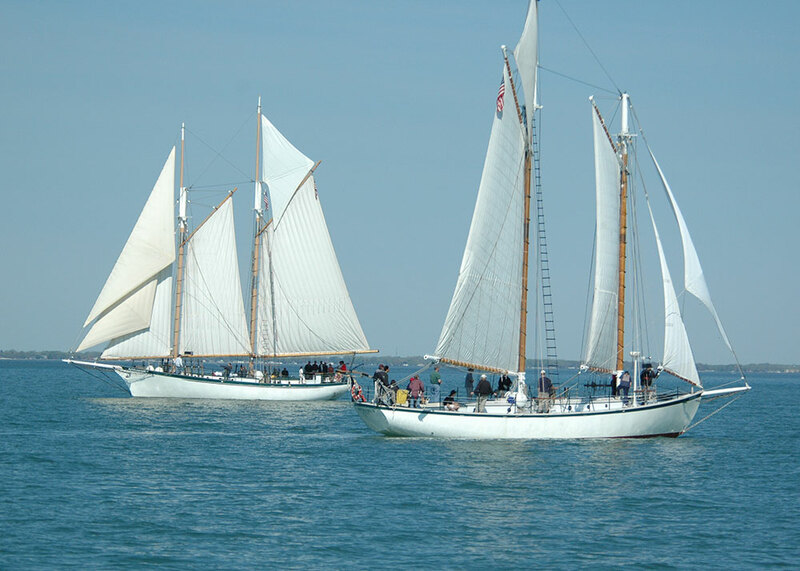 We also maintain a regular summer schedule of public sails in Bay City. The ship is also available for private charters and special events. 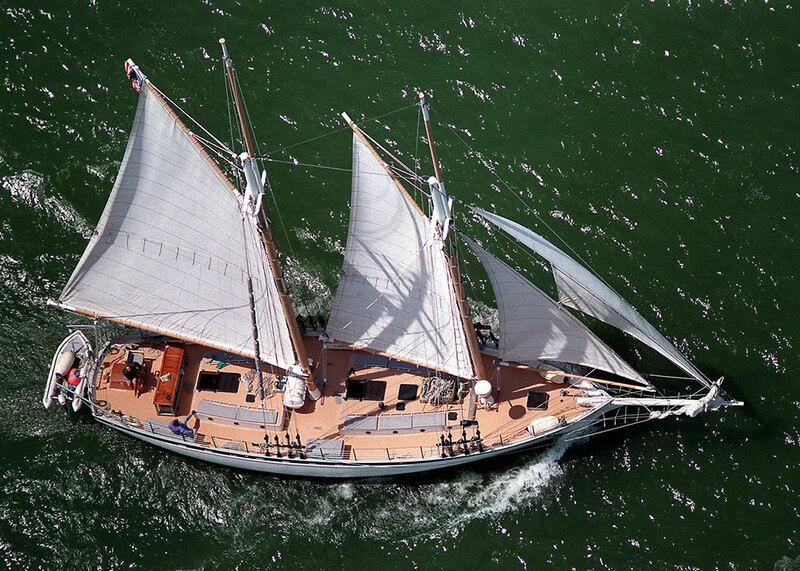 In October of 2002, BaySail purchased the 65-foot schooner Appledore V. With this new addition, the capacity for Windward Bound sail training voyages and Science Under Sail experiences was increased. After 4 years operating in southern Florida, Appledore V made her way home to Bay City in May 2016. BaySail is a 501©3 non-profit governed by an 11-member Board of Directors.